Fazzio Interiors. 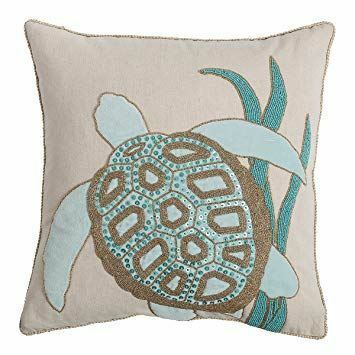 Blue Sea Turtle Beaded Pillow 18"x 18"
A cotton pillow hand beaded with with glass beads. Features a corded edge. Polyester filling is removable.